This is our chattiest episode yet. 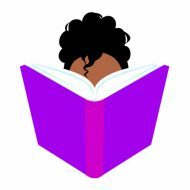 Before we dig into our book talk, we find out the ending of #cockygate, fangirl over Beverly Jenkins tweets and do a quick survey of popular books we have — and haven’t — read. Don’t worry, we find time to discuss Bingo Love, by Tee Franklin, Jenn St-Onge and Joy San. Pop in around the 40-minute mark to hear us analyze Elle and Hazel’s romance, as well as try and figure out what Jake’s big secret is. (Also, what’s going on with his wonky colored eyes???) It was a cute book that we wish we could have had more of. In other news, we’re getting close to our second birthday! We’re planning to celebrate with a nostalgic throwback read, so tweet us your favorite over at @blackchicklit. Thanks for listening and be sure to rate, review and subscribe to us on iTunes. And finally, thanks to Suite45 for our theme song, Jones’n.